Animals itch for several reasons, most often it is because they are being bitten by parasitic insects. These insects can infect the animals with viruses and deteriorate their health over time. Stop Itch will give your animals relief from the never ending intrusion of common parasites and protect your animals from potential harm they can cause. 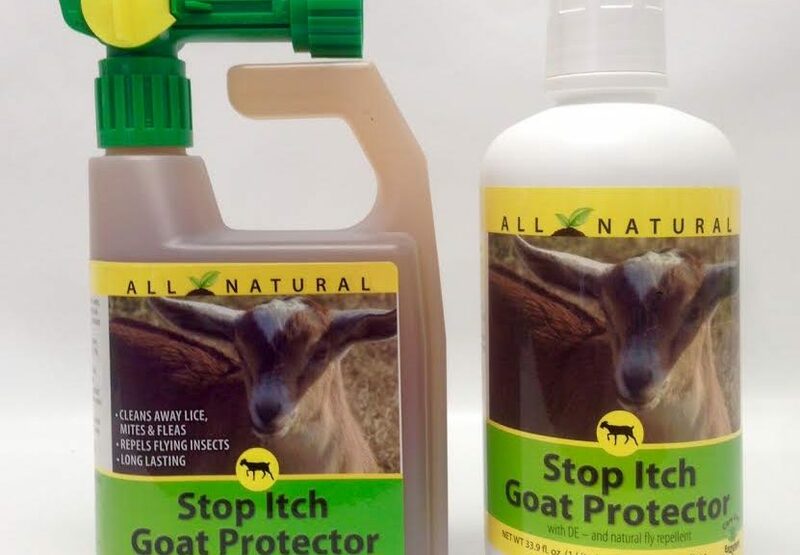 Stop Itch Goat Protector- is effective on parasites such as lice, mites, fleas, and ticks that cause discomfort to your animals. Our natural formula of plant enzymes with an added blend of natural oils is also known to repel horse flies and mosquitoes by creating an insect repelling barrier on your animals’ fur. Our unique blend of selected ingredients clean away parasites on contact and effectively combats not only mature parasites but also eggs, larvae, and pupa.We have also added our unique formula called DE (Organic Fossilized Algae Powder), so our product remains on your animals for longer, saving you time by not having to reapply our formula as often. CareFree Enzymes represents that this product qualified for exemption from registration under the 25(b) FIFRA. ALL of our products are made with natural enzymes and plant oils without the use of ANY harsh chemicals. When used as directed, they are completely child & animal safe.